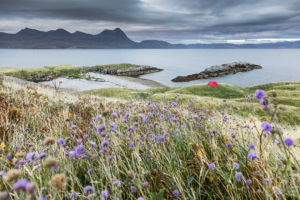 Explore the remote Highlands with our multi-day expedition trips. Tailored and fully catered adventures to Scotland’s most remote and iconic landscapes. Our team are seasoned expedition travellers and passionate about sharing their knowledge on campcraft and expedition skills, flora and fauna, geology and much more. 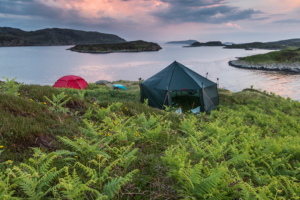 As ambassadors for Hilleberg the tentmakers, one of the worlds best tent manufacturers we are proud to provide the highest quality equipment to ensure your comfort all day and night. 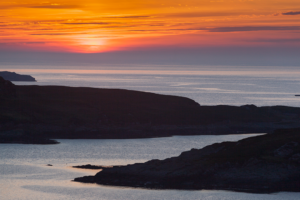 The Summer Isles are one of the most scenic archipelagos in Scotland. World famous for their stunning scenery, white sandy beaches, natural rock arches and crystal clear waters. 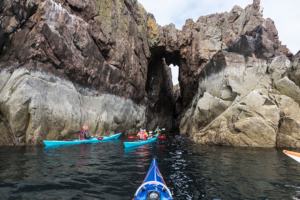 Carved by the elements the island’s many coastal features invite hours of adventure. Each island has its own unique character to enjoy and explore. We tailor each trip to best suit the weather and group requirements to make each trip memorable for all the right reasons. 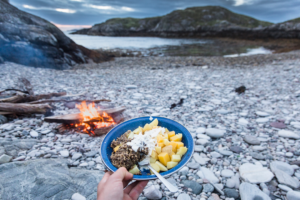 Our trips are fully catered with the chance to enjoy a three course meal in the evening. If it’s sunny we like to sit outside and enjoy the views, but if not we have a large spacious group tent to shelter in comfort and style. Nestled between the remote peaks of Inverpollaidh a series of wild lochs open access to a unique perspective on some of the Highland’s most iconic hills. 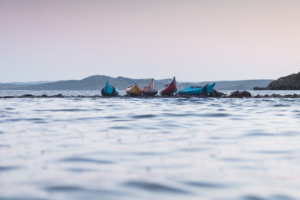 Travelling by Canadian canoe we venture into the heart of one of Scotland’s most remote areas, famous for it’s spectacular loch-side campsites. 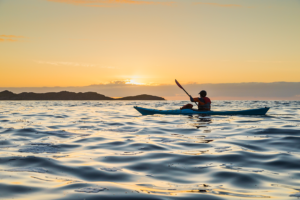 From shorter trips across the iconic Loch Veyatie to summit Suilven to longer expeditions to tackle multiple hills and lochs this area is a paradice for remote adventure. 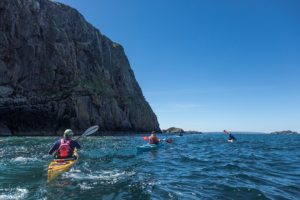 Through our partner company HAMLET MOUNTAINEERING we offer the opportunity to access remote mountains by sea and lochs, transforming those long boggy walk ins to an enjoyable paddle journey. Both of our guides are qualified mountain leaders and happy to provide a multi-activity mountain/kayak/canoe adventure. Popular areas include Knoydart, Loch Mullardoch and Inverpollaidh (see above).